Social Anxiety can be seen as a forgotten form of anxiety as the ashamed sufferer often hides it away, wrongly. Consequently many who suffer it do not visit the doctors. The actual number of sufferers is therefore unknown. The treatments available are much in line with those of other recognised anxieties. Just get on and manage your life. For you the person who is suffering the social anxiety and wanting treatment then it can all seem confusing! To make it easier there are several ways forward.
] Get on with life and manage as best you can, hoping for the magical cure. For some people it can happen. I have made positive steps forward by just doing it. But it never totally solved my problem. It did make it better though.
] Go see the doctor. Yes they will assess you and either refer you to a psychologist or prescribe some medication.
] Self medicate with herbal remedies, alcohol or other means. Quite common with anxiety concerns.
] 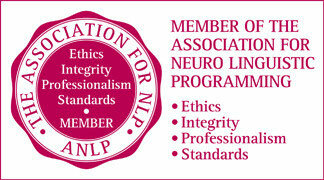 Find some kind of talk therapist, CBT, hypnotist, NLP practitioner or other alternative help. Many of then do have positive ways forward.
] You could also seek self-help programmes such as CDs bought on-line.
] Or go to expensive personal cures on week long courses. All the above can work for some people, but not for all people. Cognitive Behaviour Therapy seems to be very well thought of and is recommended by the British NHS. Practitioners can be found in many countries. To find out what suits you the best have a look around this site. Talk to a medical practitioner and ring around some therapy providers. Remember some programmes may use a mix of talk and medication. Some practitioners find that drug treatment can over-ride talk therapies.